Code a CL program to run the report. Schedule the CL program on Robot Schedule. The following is an example of how this is done. 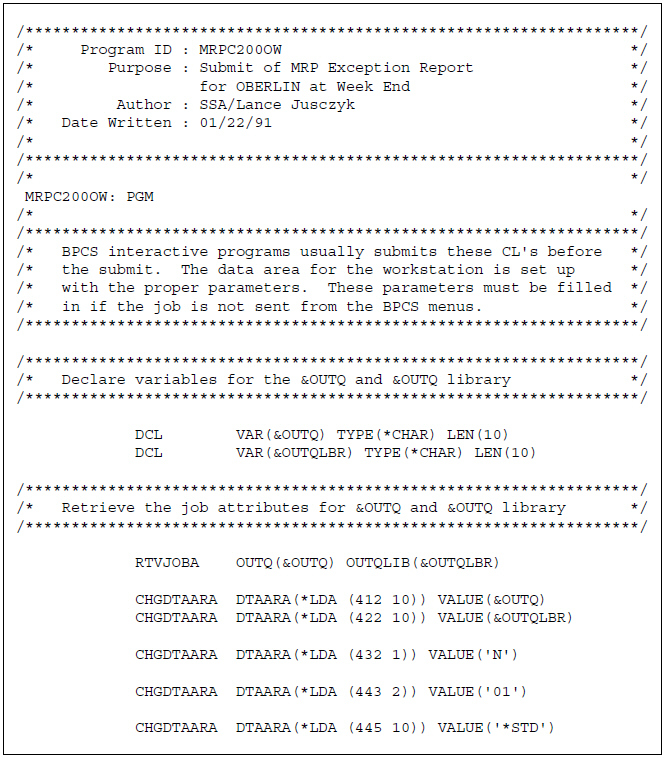 Find the name of the Infor LX program and get its parameter list. If you have the Infor LX source, you can find the calling information there. Otherwise, you could submit the Infor LX job and then, while the job is running, find the command and parameters in the job log. 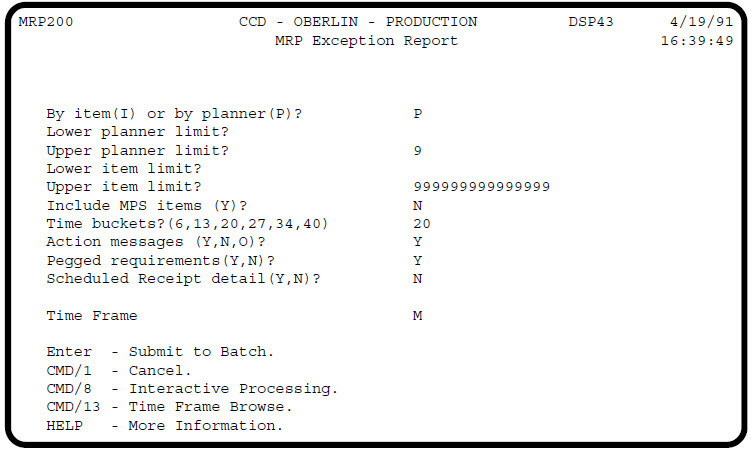 The following is an Infor LX screen that you'd use to interactively enter the parameters for the MRP Exception Report. These same parameter values will be used on the program call. 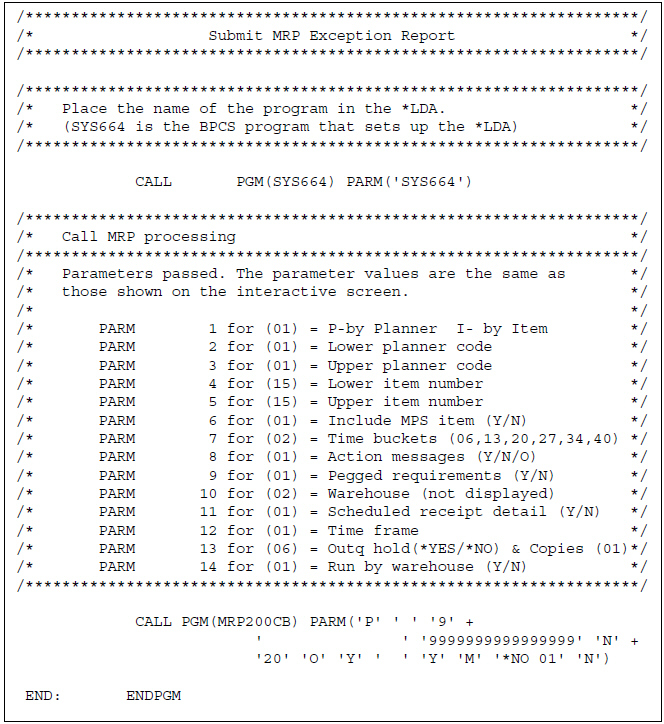 Code the CL program shown in the following example, replacing the final program call with your Infor LX program call. To schedule the same report in Robot Schedule, you'd first code the following CL program and then schedule that program in Robot Schedule. The CL program sets up the LDA and calls the program to run the report. If you don't want the job submitted from the Infor LX screen, use Infor LX security to lock out users from that screen. 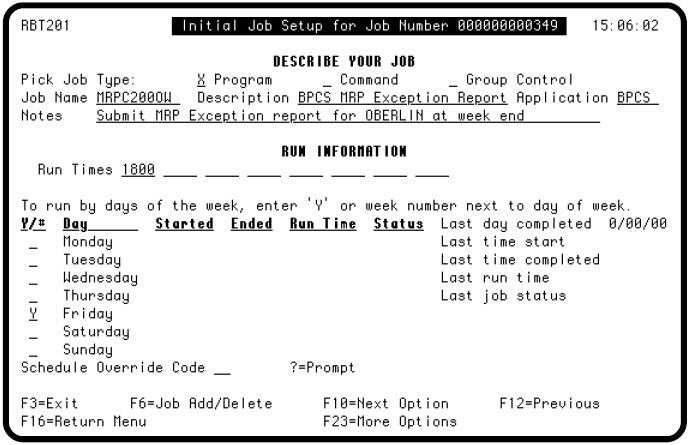 Schedule the CL program as a job in Robot Schedule by filling in the Initial Job Setup panel as shown below. As scheduled here, Robot Schedule will submit the job every Friday at 6 p.m. Note: Infor LX was formerly named BPCS. Check the Control Options panel to make sure that Robot Schedule will find the program in the library list. Robot Schedule searches the libraries in the library list named on the panel. For more information, see Library Lists in the Robot Schedule User Guide.